Home » Stuffed Animals » Jellycat Rabbit Wants to Meet You! 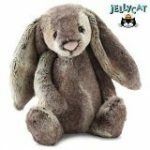 The Jellycat Rabbit now joins the rest of the fine collection of Jellycat toys. 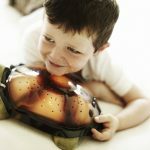 They have been making a line of unique, durable, adorable toys since 1999. 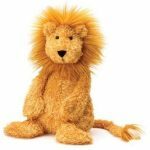 The Jellycat stuffed animals company is established in London, and the toys are available in many countries now across the globe. 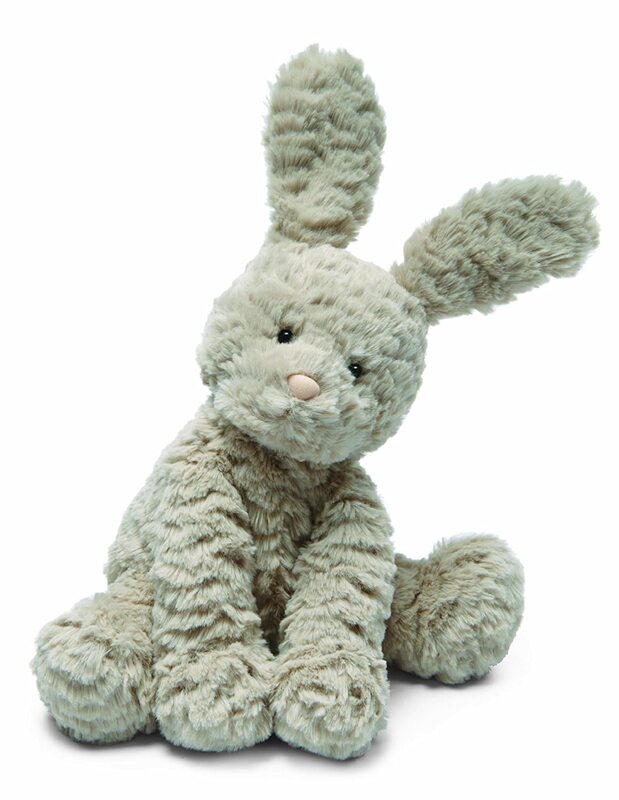 And remember, a Jellycat rabbit is a delightful gift, not just at Easter, but at anytime throughout the year. 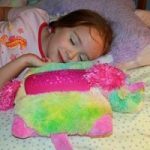 Imagine your child’s excitement when he/she receives his first real Jellycat stuffed animal! 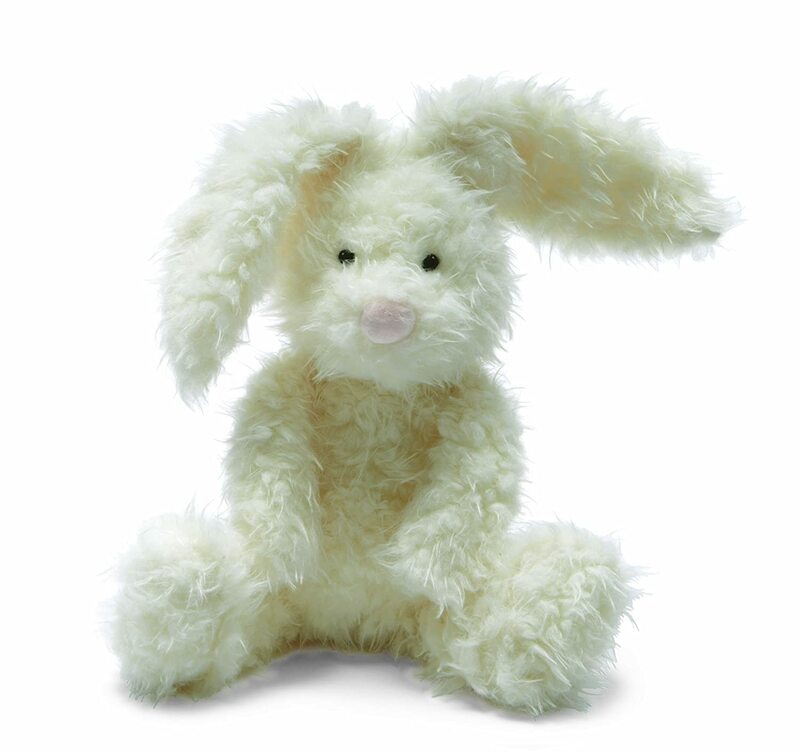 Now, the Jellycat Bunny Rabbit makes its debut. A furry, whimsical little fellow – he is available in a variety of sizes. 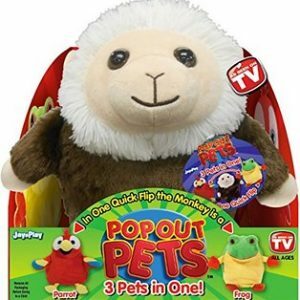 Any Jellycat stuffed animal will delight children from birth through teens. 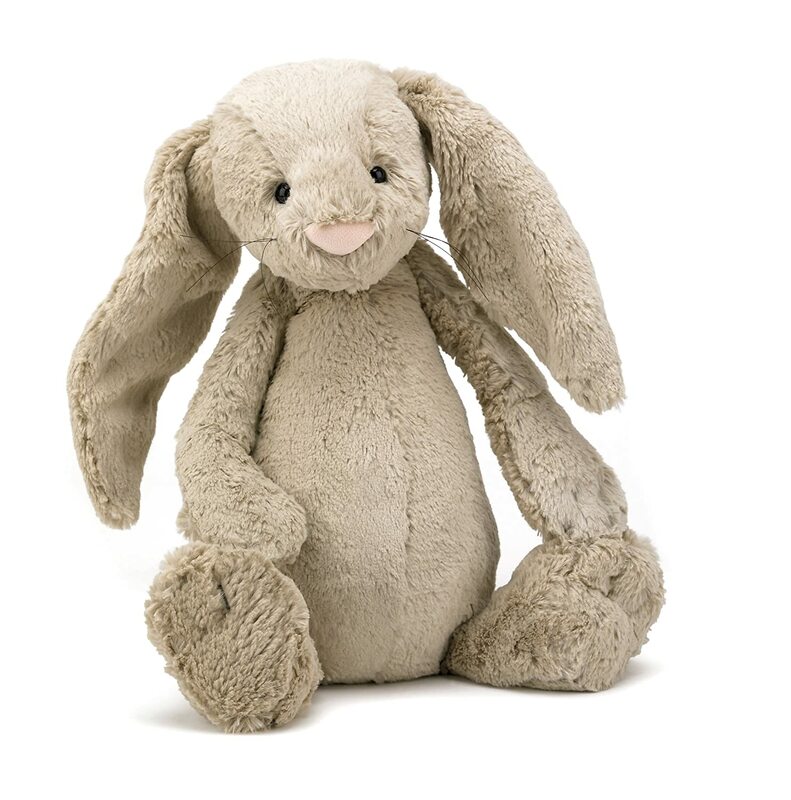 Just as with all Jellycat toys, the bunny is durable, soft, and lasts through hundreds and hundreds of hugs. 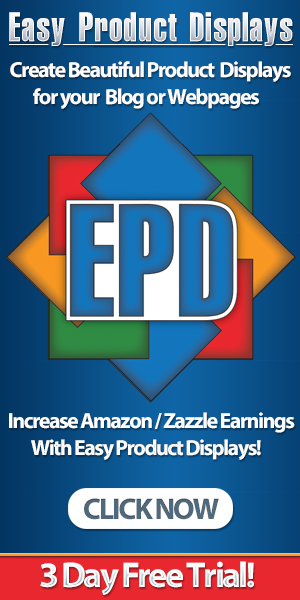 Safety and comfort are of the utmost importance to this well established company. 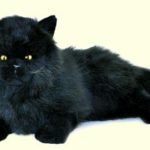 The result is a line of products which are made to be cuddled and played with for years. It is not at all unusual for a child to keep his special “pet” through his teen years, especially the girls. In the Jellycat Bunny line, there is this adorable Woodland Bunny, as well as Mad Pet Roberta Rabbit. 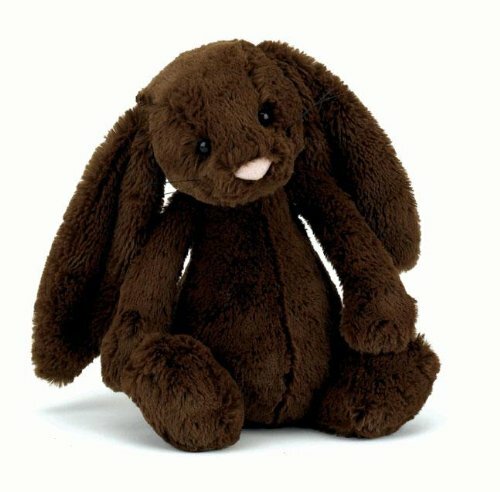 The woodland rabbit is incredibly soft and traditional looking, down to the brown coloring. 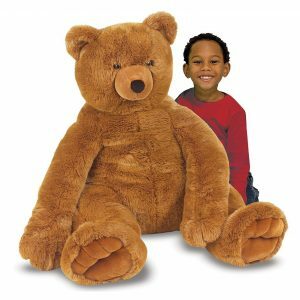 The long ears and the round, almost lonely looking eyes will capture the heart of any child who receives it. 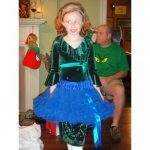 The child will instantly identify with the traditional trademarks they recognize to be a bunny. 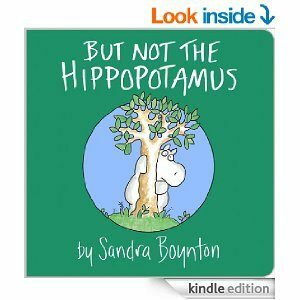 The little bunny tail is the same color as the rabbit, and is a great mix of brown/gray. 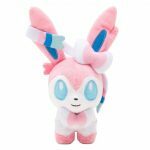 This enchanting bunny is 12” high and very lightweight and soft. 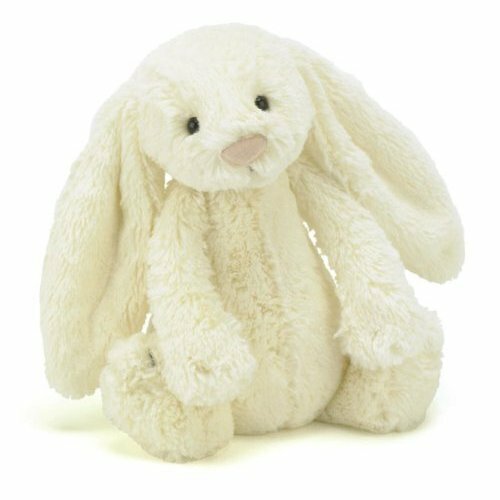 This cream colored Jellycat rabbit makes a great gift for a new baby or a terrific Easter basket addition. You’ll love her softness and adorable little face. These bashful bunnies have won my heart. I would be proud to have them setting in my room. 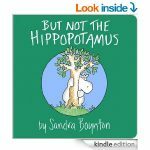 Kids will love these little cuties. The beige bunny is 24″ and the chocolate bunny is 12″ but each are equally adorable. 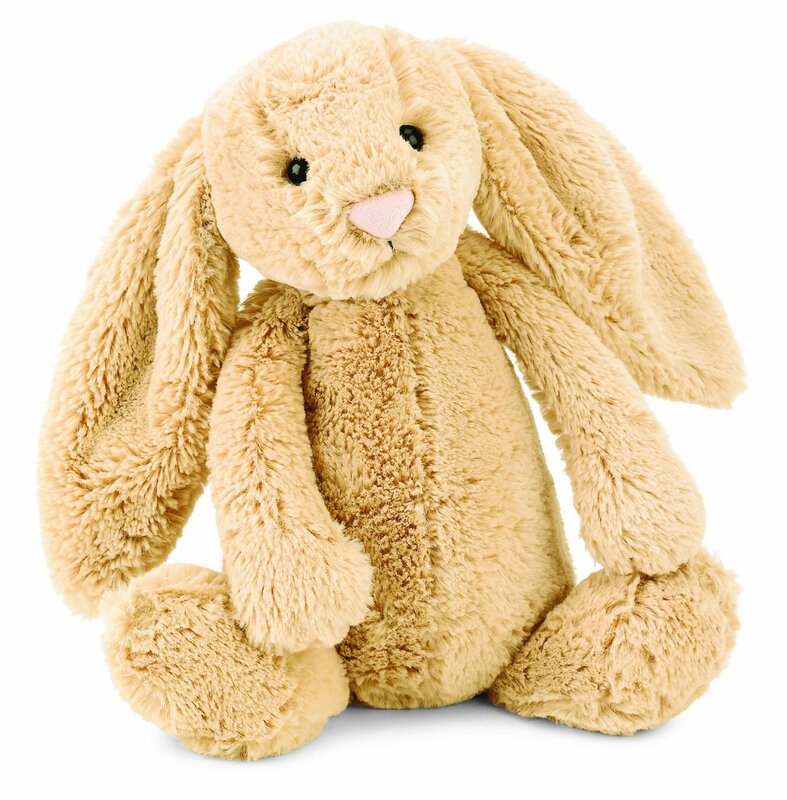 Honey colored “fur” makes this bashful Jellycat bunny so cute. She is ready and waiting for you to take her home and give her love. Kids are going to love this adorable rabbit! 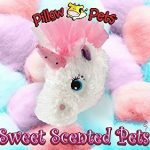 These unique Jellycat rabbits will hop right onto your lap and right into your heart. 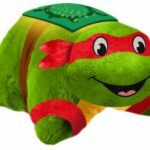 Give them as a gift for birthdays, Christmas, Easter, Valentine’s Day and more.